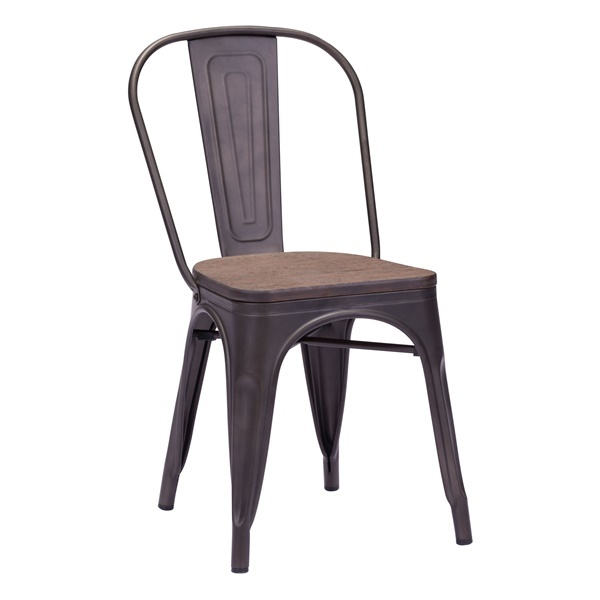 Transform your modern or retro dining room into a funky French bistro with support from the Elio Wood Dining Chair from Zuo Modern. This distinct dining chair features bamboo construction that gives the piece an all-natural look and feel. In addition, the chair boasts a dazzling finish that will maintain its quality for years. Choose a top-notch dining chair that is both functional and glamorous � the Elio Wood Dining Chair. Bamboo construction gives the chair an all-natural look and feel. Features strong, sturdy legs that provide amazing support. Dazzling steel finish will maintain its quality for years. Classic design makes it easy to incorporate the chair into your modern or retro dining room.